We as moms often hit the mall on a rainy day, just to get a cup of coffee and let the kids play in the play area. 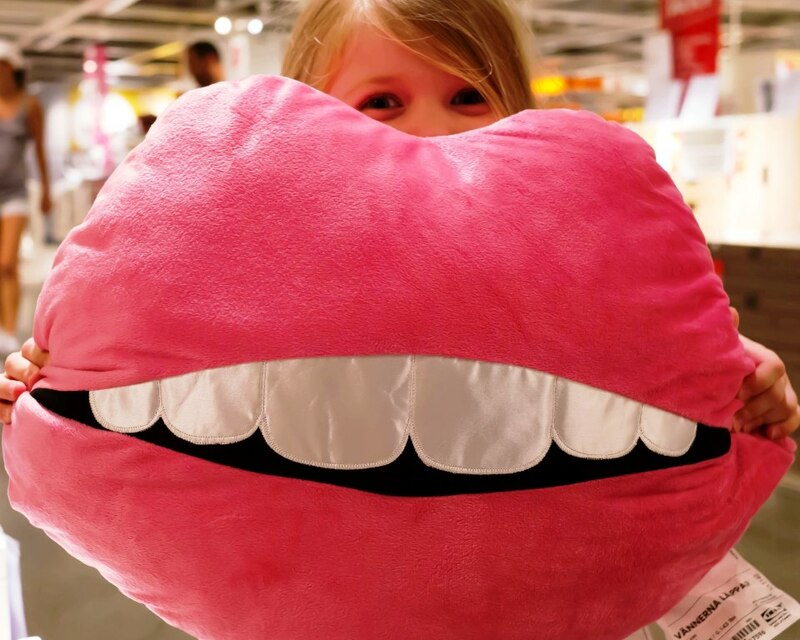 It is easy to forget that IKEA is the perfect place for a wander with your Littles! Our Fort Lauderdale store even has special close parking for families with Littles and strollers. When I go to IKEA, I always start with breakfast. They offer specials throughout the week and you will never spend more than a few dollars on a plate of food. The is food is okay, it is not stellar, but the dining room is always clean and has wide windows all along the wall to make it a bright happy space. 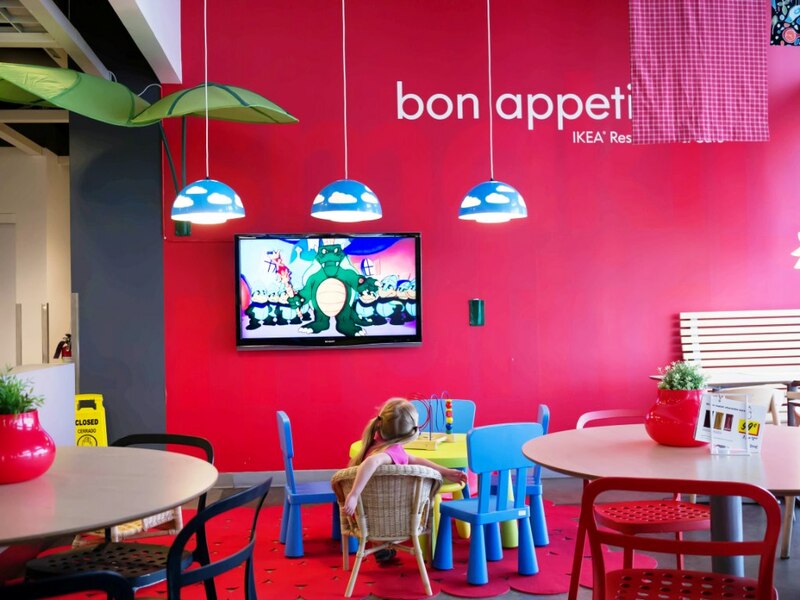 There is a kids space in the dining room where the Littles can eat together in front of a flat screen TV, allowing the adults a chance to brush up on conversation that involves words with more than 2 syllables. 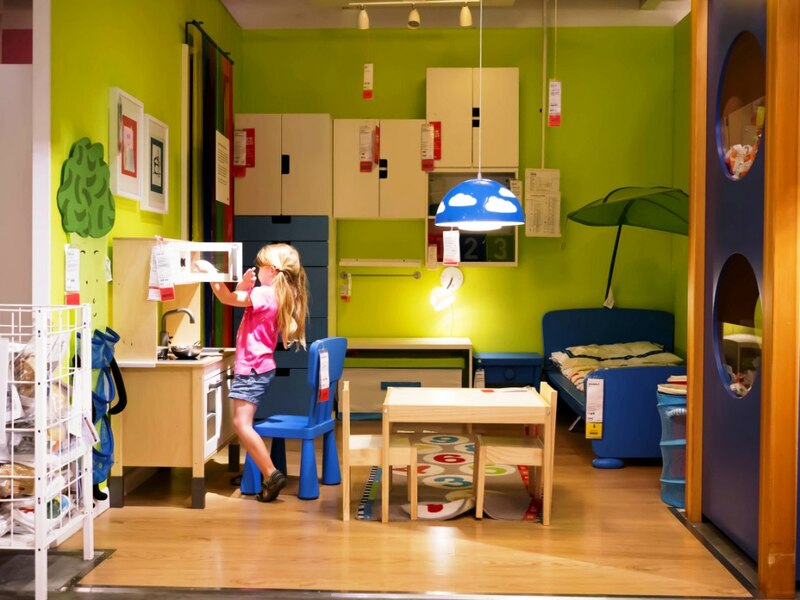 According to Charles Wing Local Marketing Specialist IKEA’s founder wanted the store to reflect his belief that the should store be “a day out for the whole family”. This influence is certainly felt throughout the store and.IKEA seems to work hard to make their store a family friendly place by offering strollers for the kids and family bathrooms. 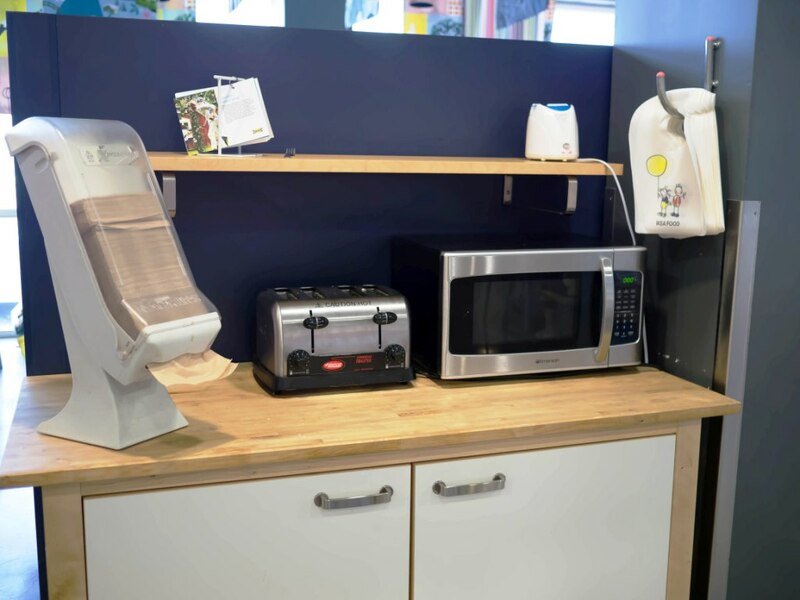 The dining room has a bottle warming station, with a toaster, microwave, bottle warmer and bibs. The family bathroom has a chair in case you need to find a quiet place with baby for moment. The bathrooms are generally pretty clean, but on the weekends when the store gets crazy busy and they can get a little bad. They do seem to make a huge effort to keep them clean and I have always seen them spotless first thing in the morning. At our IKEA you start out on the top floor, this has all the furniture for adults and kids. My daughter likes to walk around this floor with me and check out all the rooms. We love to see the way storage and whimsy works in the kids areas and dream about the kitchen we would someday like to have. The bottom floor is full of the housewares, which is less interesting to my daughter. This floor has everything from silverware to picture frames and glassware, so not really an area where I want to worry about what my Little might try to pick up when my head is turned. So we head on over to the Smalland Play Area, where there is a supervised play area for kids. 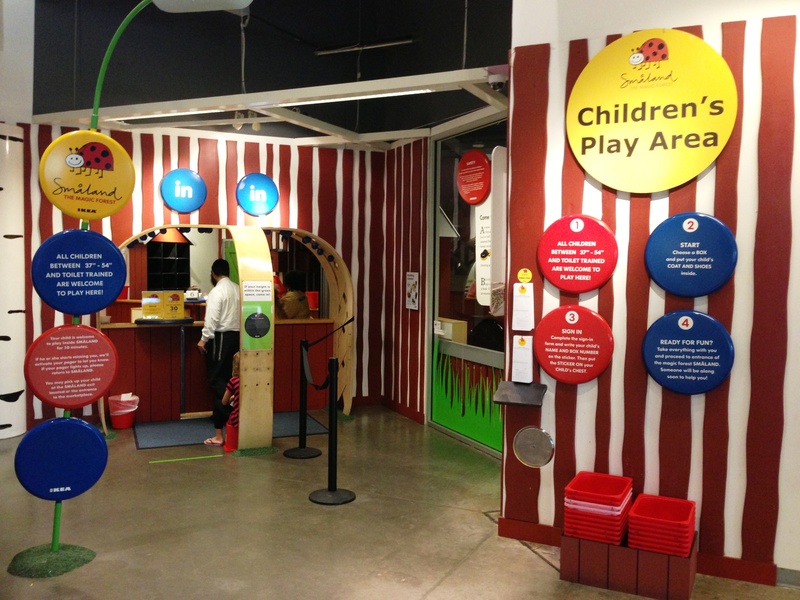 The Play Area is open daily from 10 am to 7:30 pm. Usually, the kids can stay for about 50 minutes, they give you a beeper and tell you when you are due back to pick up your child. Kids must be at least 37 inches tall, no more than 54 inches, and must be completely potty trained. My daughter had a great time didn’t want to leave when her time was up. The staff in the play area were courteous and seemed to be very capable. My daughter didn’t want to leave, so that is always a good sign. On your next rainy day call up your friends and meet at IKEA for a morning of shopping, food and fun. It is a great alternative to the mall when the weather rules out the outdoors. This entry was posted in Florida, Georgia, North & South Carolina, Ohio, Summer Picks and tagged Family Acticity, IKEA, kids play area, Mall Play Area, Shopping with Kids, South Floirda by Cynthia Buckley. Bookmark the permalink.